The vegetable garden! Oh, how I relish the planning of it each year. During the final weeks of winter, when the skies are grey and the weather, inclement, my mind reaches for spring and the renewal of life that it brings. This is when I remember cucumbers hanging from the vine, the red blossoms of the runner beans, and eating sun-warmed cherry tomatoes from the vine. Last year, I decided to keep a notebook to document the successes and the failures. At the beginning of this season, I reviewed comments about plants that didn’t survive the weather, the heaviness of our soil, or the rabbits, slugs and miscellany of insects that undermine my best efforts. Unlike the earliest settlers, I can replace the food that didn’t grow with a trip to the grocery store, or I can replant after a trip to the local nursery. The garden was not a hobby for them. It was a means of survival. 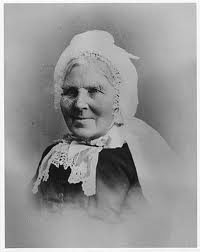 Catharine Parr Trail (1802-1899) wrote several books about her experience of early settler life in Ontario. 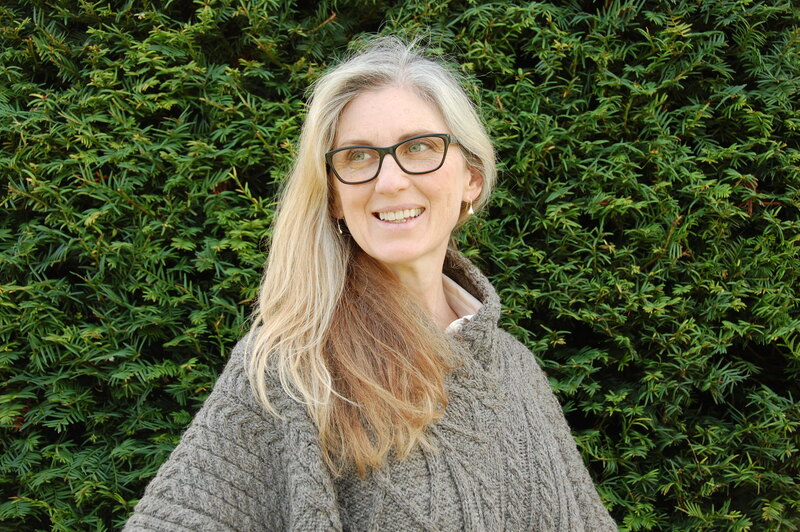 In the Canadian Settlers Guide, she details gardening tips for female emigrants . 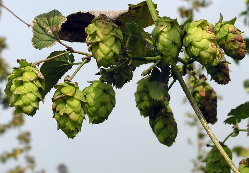 The hop vine, she reminded gardeners, was a staple in every Canadian garden as it was used to produce the yeast that was critical to bread making. She didn’t mention that it is essential to brewing as well, but I digress. Allow the vine to climb the pillars of the cabin verandah and enjoy the esthetics of leaf and flower, she wrote The flowers can be used or sold; they are in much demand. Rhubarb was an important addition, according to Parr Traill. Her suggestion that interests me greatly as I just added rhubarb to my garden. If you knock the bottom out of a barrel or a box and place it over the plant, she claimed, the stalks will be less acidic. I was curious about the types of vegetables grown. She listed carrots, celery, cabbage, onions, asparagus, cucumber, peas, corn, radishes, turnips, potatoes, spinach and squash. She added that small fruits in the garden were as easy to grow as potatoes and were a great treat for the children. She included red and white raspberries, thimbleberries, gooseberries and currants — all “cheap and wholesome foods”. There was a great deal included about fruit trees (apple, pear, cherry, plum) and the general care of orchards. As for herbs, Parr Traill discussed balm, sweet basil, thyme, sage, savoury, parsley and mint. Her garden included caraway also. 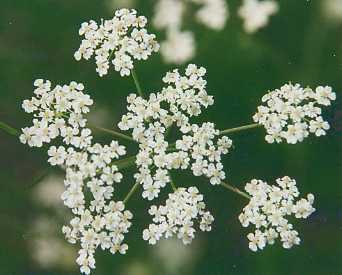 When the caraway flowers are fed to cattle, the quality and quantity of milk increases. Insects tormented the pioneer garden much as today. Parr Traill suggested sprinkling affected plants with ashes, soot, charcoal dust or soap suds as a deterrent to pesky bugs. Another torment for the Canadian gardener is the coldness of the air and soil, and the relentless appearance of yet another frost. Parr Traill cautioned the eager gardener against the effects of a lingering chill on fragile sprouts. Cover the plants with a cold frame of glass or — oiled paper. I knew that the earliest settlers used oiled paper to cover their windows but this garden application was new to me. Save your seeds, she cautioned all gardeners. Selected carrots, beets, onions and parsnip plants should be allowed to go to seed. A willingness to share or trade seeds with neighbours was advisable, Parr Traill told ladies. This a difficult country, she told newcomers, and you may one day enjoy the reciprocating of an earlier kindness. Fresh seeds also fetch a good price. Catharine Parr Traill, known for her resourcefulness in braving the pioneer experience, issued this warning to the emigrant family. The men will be responsible, for years to come, for the heaviest labours and responsibilities: clearing the land of trees, farming larger crops like wheat, earning money to pay installments for the land. Women must be prepared to step up to the responsibility of the garden once the plot is cleared of trees. 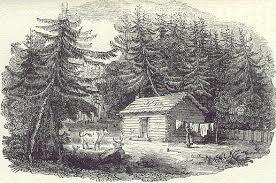 In this new land, women needed to be willing need to cultivate, plant, weed, hoe and harvest. Recruit your children for the task, she’d say. From the youngest to the eldest, there are helpful tasks they can perform. I’ve enjoyed cultivating this insight into the pioneer garden. It is useful to accumulate this nature of context for my next large scale writing project, a historical fiction set in the 1800’s. I’m amused by the fact that my own garden features many of the same basic elements as Catharine Parr Traill’s. There are ideas to add to my garden notebook. Next year — raspberries and currants! Do you have a question? A comment? An pioneer gardening tip? Another great post Gwen, I loved the link between the pioneer garden and your own modern version. Thank you Andrea. I’m also trying some companion gardening. Some plants benefit by growing next to other plants. Even though it’s not a huge garden, it keeps salad on our plates for the summer:) Take care. These were surprises to me too, Carol. It’s a late starting growing season here in Ontario. Fingers crossed for warmer afternoons and more sun.